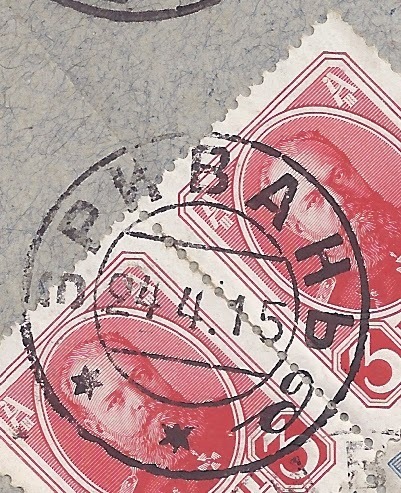 We are particularly interested in 1917 -1925 uses. 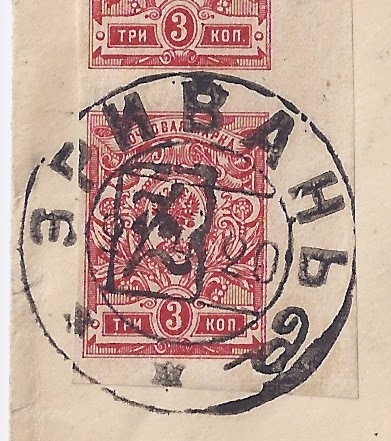 As with other Imperial cancellations of this period ( for example, for Baku), the date uses a style in which there is a dot (punkt) after the month but not after the day, so in the above example 24 4. 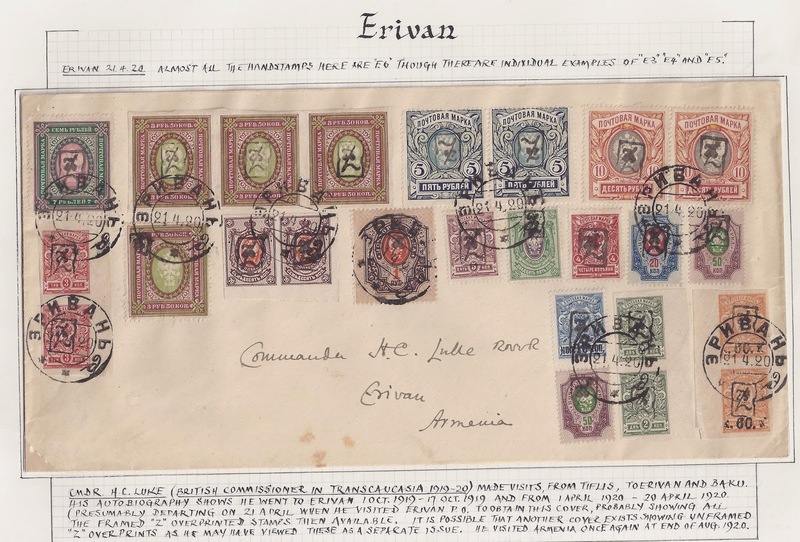 15 Forgeries do not always get this feature right. However, it may be that for a short period , the dot after the month is missing (maybe it fell out). We would like to see examples that may show this variety. 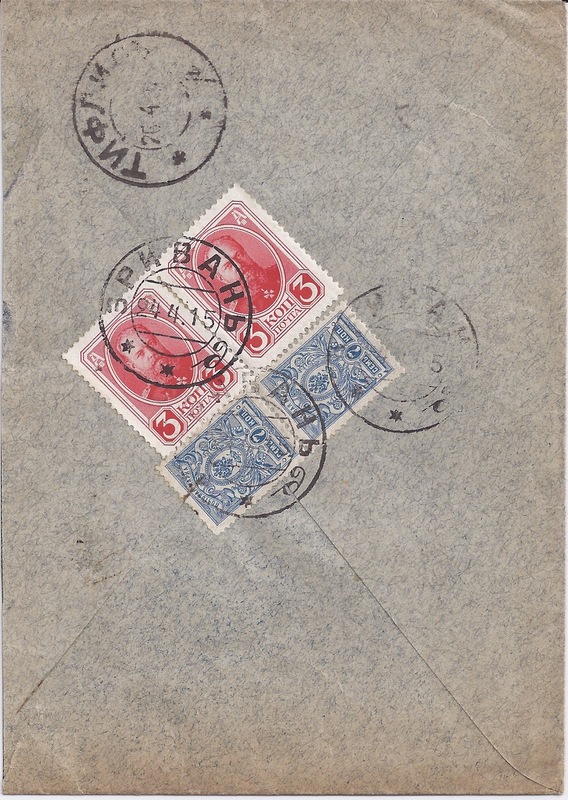 The cancellation is normally found in black or grey-black. However, for a short period a violet or violet-black ink pad was used and we would like to see examples of this use. Thank you!